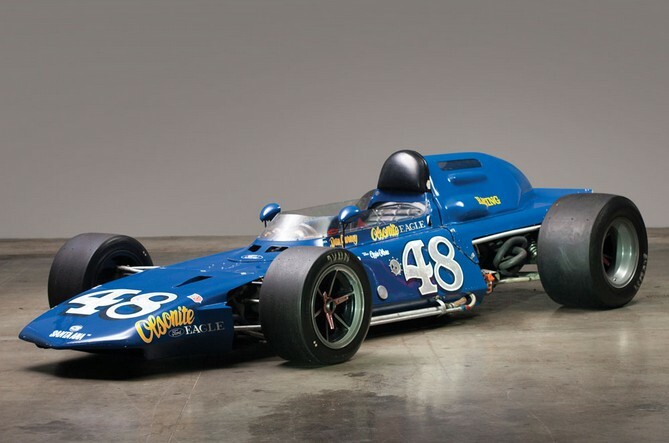 Dan Gurney’s All American Racers (AAR) built some amazing Indy cars an F1 racers back in the day. This STP-liveried Indy Car looks amazing – and it’s not just the paint job. It represents classic Indy style. To borrow the old cliché, It looks like it’s going 200 mph just sitting there. Interestingly, this was also the very car that Roger Mears made his Indy Car debut in, finishing 6th at California in 1978. In total, 29 of these 7200s were built. This one has been completely restored and has been on display at the Indianapolis Motor Speedway Museum and the Riverside International Automotive Museum. It sold at an RM sale last August for $341,000 and is offered now with an estimate between $375,000-$435,000. Click here for more info and here for more from this sale. 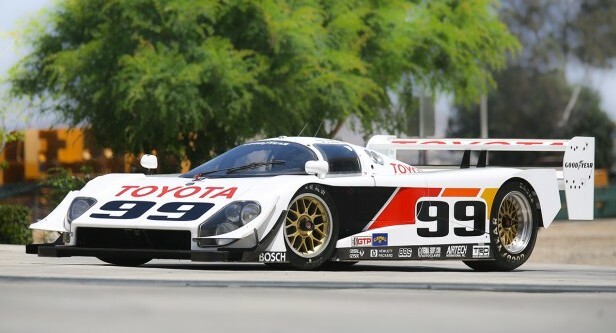 Last year we featured another AAR-Toyota Eagle IMSA GTP car but from 1992. This was a predecessor to that car. 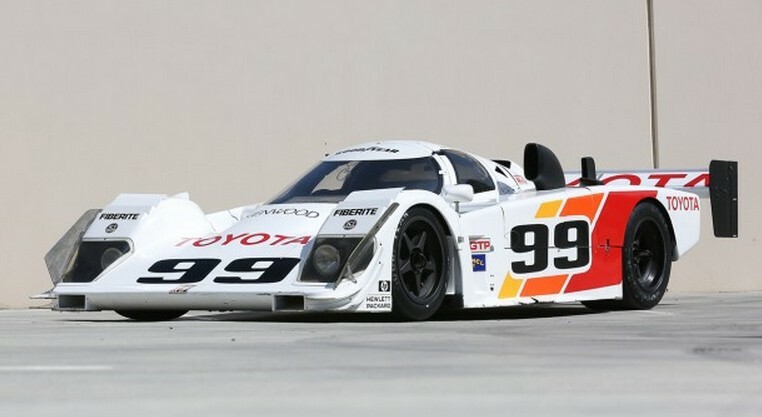 Dan Gurney’s All American Racers (AAR), which dates back to the 1960s, was tasked with taking Toyota to the top in IMSA in the late 1980s. This car goes by a couple of names. Sometimes it’s referred to as the Eagle Mk II GTP and sometimes it goes by HF89 (for aerodynamicist Hiro Fujimori). And other times, because this car was built in 1990, it is called an HF90. The driver for most of this car’s competition history was Juan Manuel Fangio II. 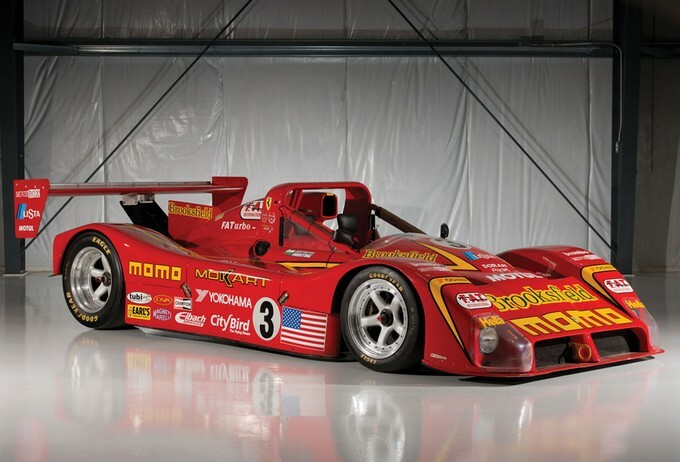 It won five races and was the first Toyota GTP car to top the podium. It’s powered by a 680 horsepower turbocharged 2.1-liter straight-four. That is a lot of power from such a tiny engine, so it probably sounds insane. It’s probably also a lot of fun (if you’re experienced) and terrifying if you aren’t. 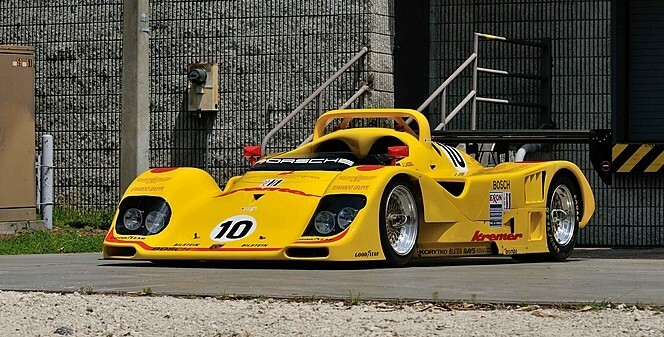 This be-winged early-90s prototype racer can be yours for between $450,000-$550,000. Click here for more info and here for more from this sale. 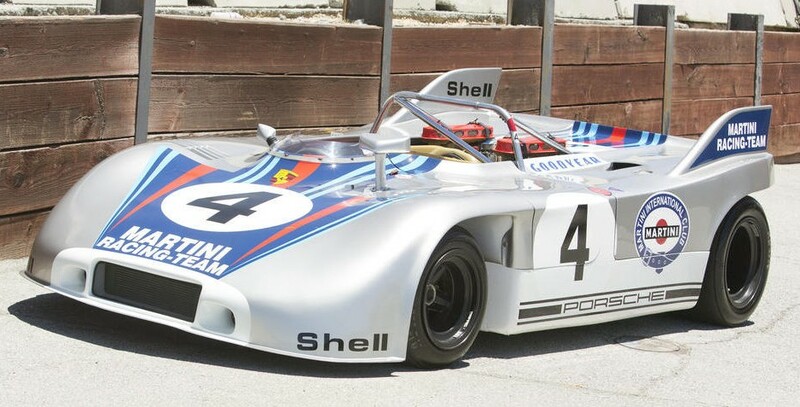 Here’s the last open-wheel car we’ll feature from Monterey. 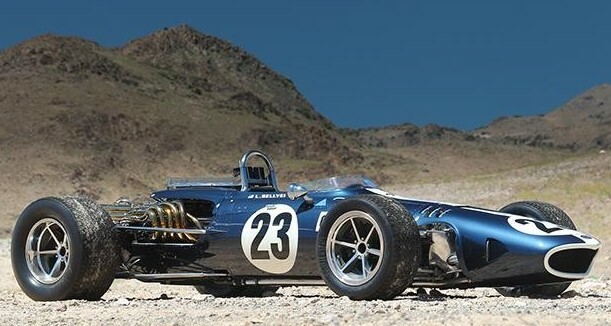 This car comes from AAR, Dan Gurney’s All American Racers. It was their car for 1969 and it uses a 5.2-liter Ford V-8. AAR built four of them, three of which raced at the Indy 500 that year. This one did not, although Gurney did run it in practice. The only racing this car has ever done is on the historic circuit and it has been in the same ownership for nearly a quarter of a century. It can be yours for between $125,000-$175,000. Click here for more info. Dan Gurney is one of America’s best historical driving talents. He is one of few Americans to win a Formula One race – along with winning just about everything else imaginable in just about every kind of car. In the early 1960s he raced for a few teams but always wanted to race – and win with – a car that he designed himself. With a little help from Carroll Shelby, Gurney secured funding to start his own race team in California: All American Racers (AAR). Their original goal was to build an Indy 500 winner but he also wanted to build an F1 car. He developed the cars simultaneously – the Ealge Mk I was intended for F1 and the Mk II for USAC. For engines, Gurney looked to Weslake in Britain who supplied him with a 3.0-liter V-12 that made 390 horsepower at 10,500 rpm. As you can see, this car suffered from a host of reliability problems. None of those DNFs were crash-related. Every one was a mechanical failure, with the exception of Gurney’s blistering win at Brands Hatch (which was not a Formula One-sanctioned race). Gurney would win an F1 race in one of his Eagles, just not this one. 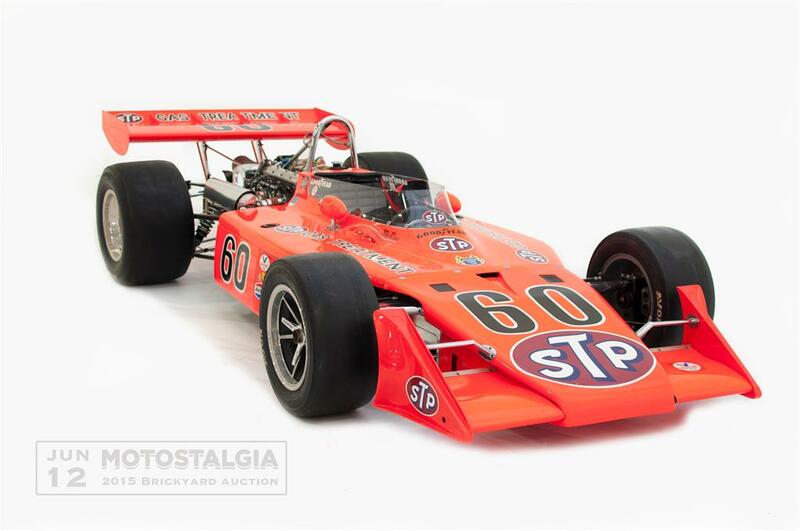 After the ’67 season, AAR focused solely on USAC and this car was sold. It bounced between owners and continents and has been used in many historic events – including the Goodwood hillclimb with Gurney himself at the wheel. It may not have been successful, but it is a beautiful Formula One car. The color, the big engine and that beak at the front of it – incredible. No pre-sale estimate is available but you can read more here and see the rest of Gooding’s lineup here.